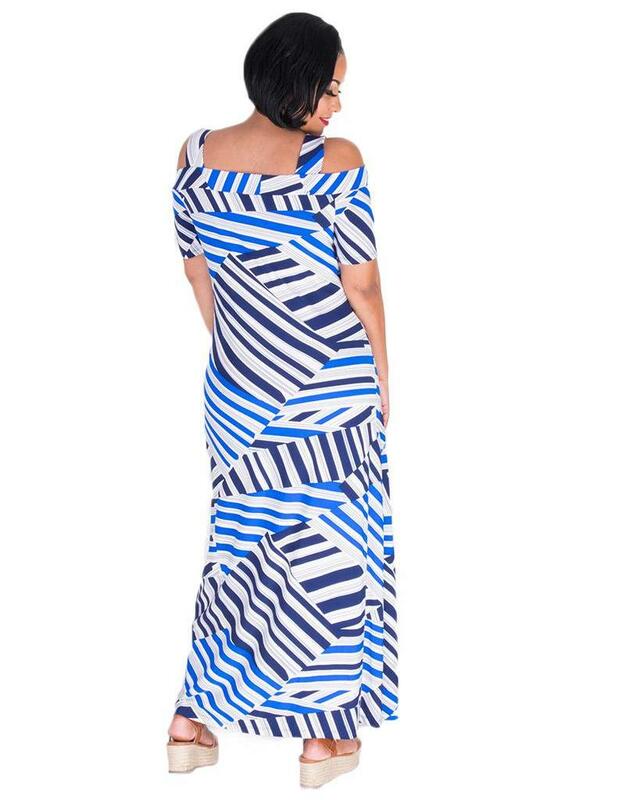 Every woman needs a go-to dress that’s stylish and easy to wear – this striped dress will be that dress. 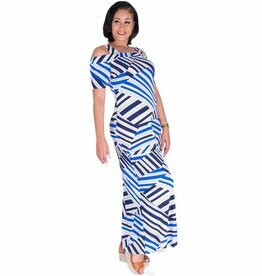 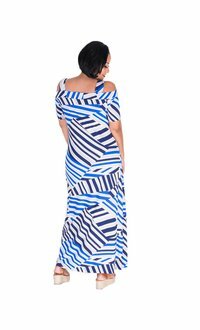 Created from an engaging striped pattern, the dress features a bateau neckline, broad straps with cold shoulder cut-outs that flows into a sheath silhouette in the body of the dress. 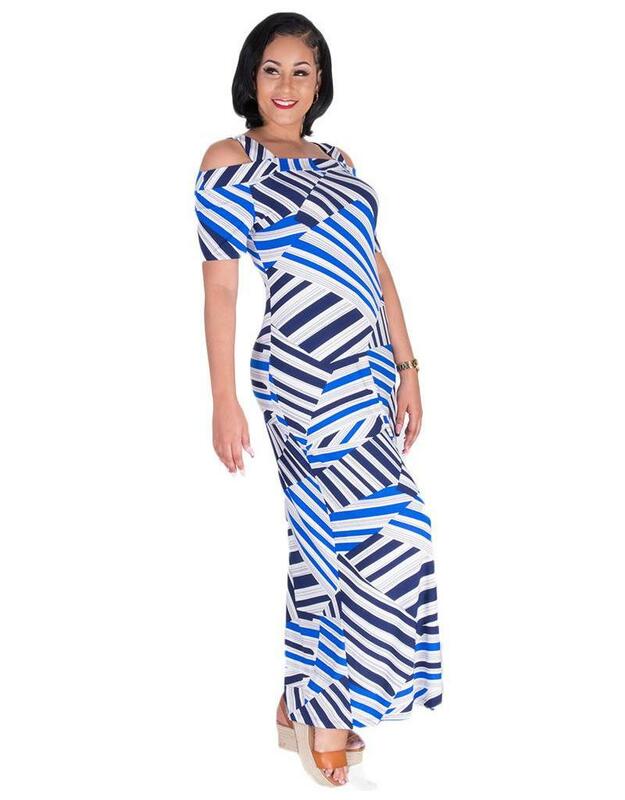 Pair this dress with accessories from our collection to complete this look.